You can add custom information (e.g. VAT, company address, client & campaign details) to receipts on the Billing page. 2. On the Billing page, click the 'View Invoices' button. 3. 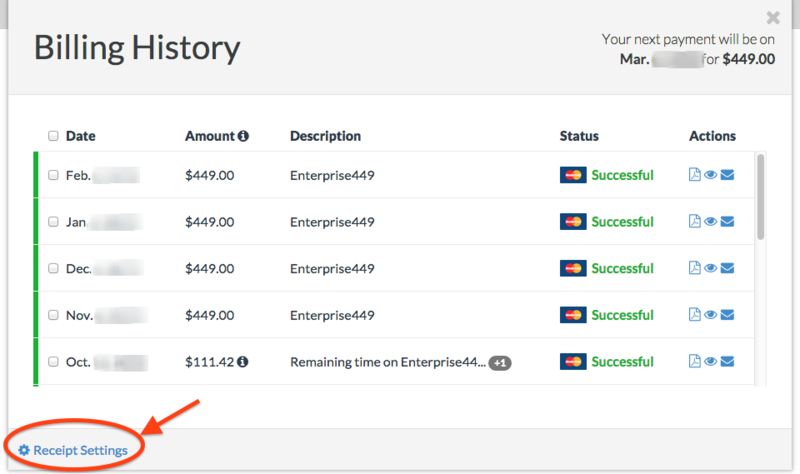 This will give you a Billing History popup with past invoices/receipts. On the Billing History popup, click Receipt Settings on the bottom left of the page. 4. This will present you with another screen asking you for any additional details you would like to add. 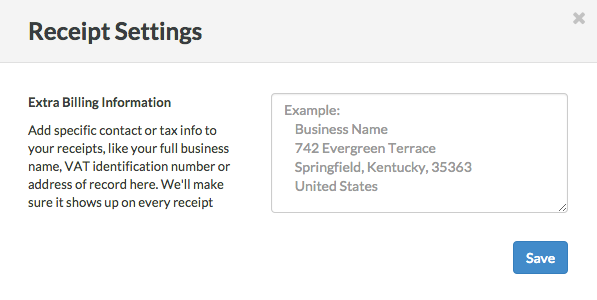 On this screen, you can add any custom information you would like to have included in your receipts. Then, return back to the Billing History page and view or download old receipts with this information present.